Every garage can be transformed from disorganized clutter to a well-organized garage. Mess in a garage does not need to become part of everyday life. The solution to organizing clutter in the garage is custom garage cabinets. 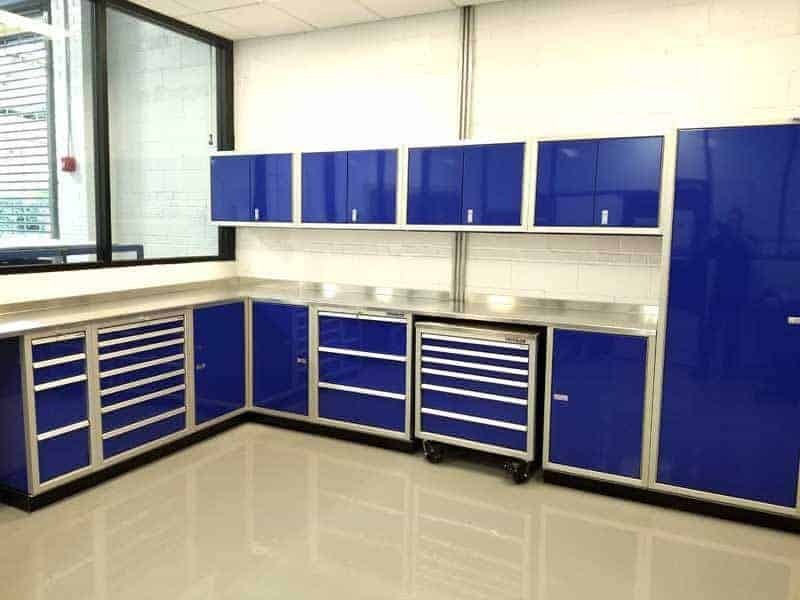 Garage cabinets should be chosen according to the best storage capacity, the longest lifespan, and the greatest aesthetic appeal. Aluminum cabinets do not deteriorate or rust like wood or steel, and they won’t cause shock from static when you touch them, nor attract dust like plastic does. Moduline Cabinets uses aluminum because it is extremely resilient. Our innovative features on our cabinets can resist fingerprints and maintains their original appearance. The modular design creates unlimited possibilities when mixed and matched. The shared edges, and doubled corners and walls makes our cabinets stronger. 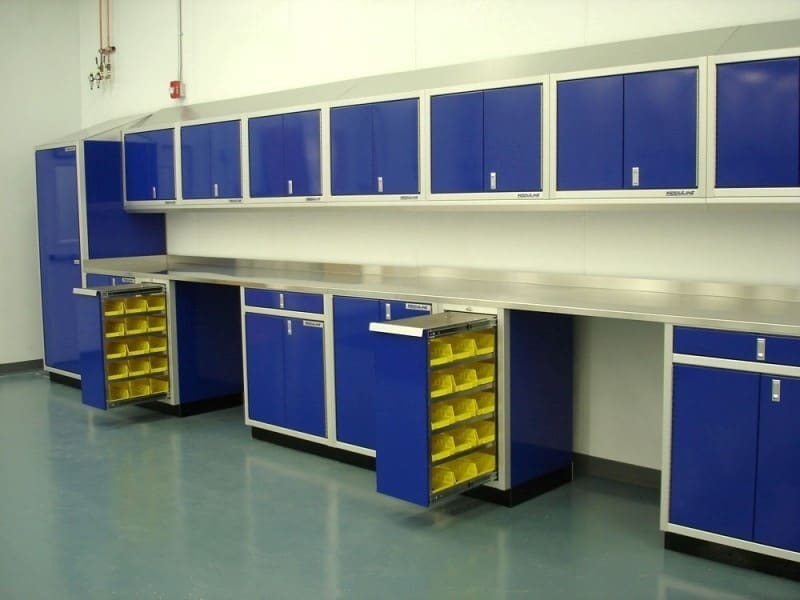 Most of Moduline Cabinets’ base cabinets have a height of 36 inches, and a depth of 18, 24, or 30 inches. Both custom and standard sizes are available, in addition to toe kicks, bottoms, adjustable or pull out shelves, backs, and locking latches. There are a variety of layouts available for the base cabinets. Many base and drawer cabinets are available. Drawer cabinets can be attached to tool chests. The width, depth, number of drawers, dividers, thumb locks, toe kicks, and countertops are additional options, based on your customization of the cabinets. The tool chests include effortless action drawers, smooth ball bearings, liners and drawer dividers. The options include stainless steel, aluminum or butcher-block countertops. Parts, recycle and waste bins are available along with file cabinets. This includes easily removable, high quality, durable plastic bins. The countertops are available in a choice of butcher-block, stainless steel and aluminum.